This loft apartment is sited within a landmarked building that has its original windows and floor. Our design strategy was to open up the previously divided space and return it’s openness. When the large sliding pocket door is open, one can see through all five rear windows. This idea was pursued so that the breadth of the space is experienced from all the spaces of the apartment. The front section of the apartment is one space with many activities: cooking, eating, working, and relaxing. The challenge was to scale the details and zones, so that they functioned well together, as well as, read together as a whole. 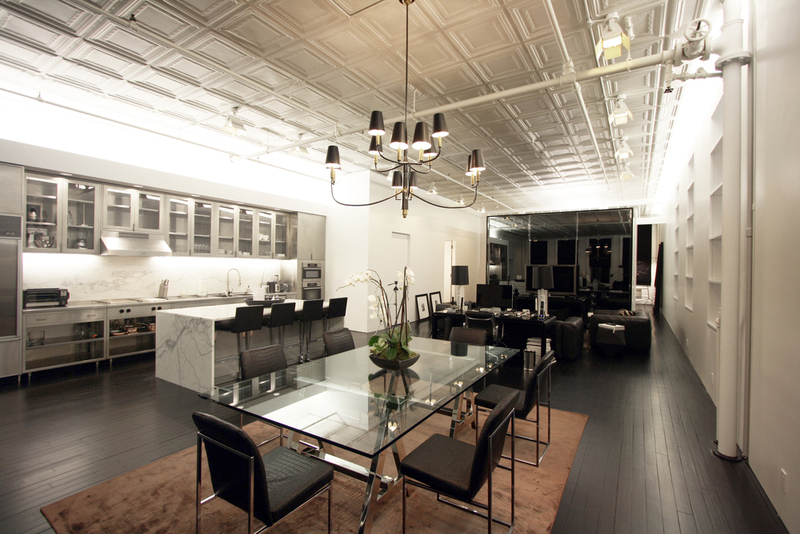 This project was realized in collaboration with the stylist, Ryan Korban, and architect, Lawrence Sassi.